Bill Paxton was an American actor and director whose net worth is an estimated $30 million. The films in which he appeared include The Terminator , Aliens, Weird Science , Predator 2 , True Lies , Twister, Apollo 13 and Titanic. 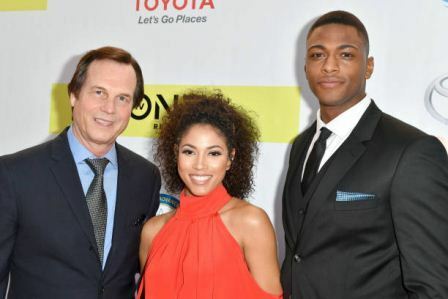 Paxton also played the lead in the HBO series Big Love and was nominated for an Emmy Award for the series Hatfields & McCoys. 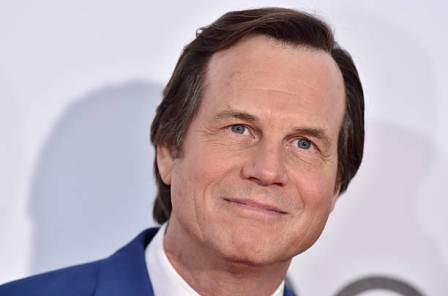 Bill Paxton was born in Fort Worth, Texas to Mary Lou and John Lane Paxton. His dad was a businessman, occasional actor, lumber wholesaler and museum executive. His mother was Roman Catholic, and he and his siblings were raised in her faith. Paxton was in the crowd when President John F. Kennedy appeared from the Hotel Texas on the morning of his murder in 1963. Photos of the young Paxton being hauled up above the crowd are displayed at the Sixth Floor Museum in Dallas, Texas. Paxton and friend Andrew Todd Rosenthal formed a new wave musical duo called Martini Ranch in 1982. They released a full length album called Holy Cow, in the year 1988. The album was produced by Bob Casale and featured guest appearances by other members of Devo band. James Cameron directed the music video for their single "Reach". On February 25, 2017, Paxton died at age 61 from complications following heart surgery.